We are highly efficient in manufacturing and supplying a Liquid Oxygen Nitrogen Plant. This plant is manufactured at our well-equipped production unit using the finest quality components and innovative technology in compliance with predefined industry standards. We are specialized in making of Low Pressure Oxygen Plants, that are extensively used for medical oxygen, solid garbage burning, concrete production, chemical industry production, glass manufacturing & so on. Our designed nitrogen gas plants offer high grade nitrogen and are easy to operate & maintain. 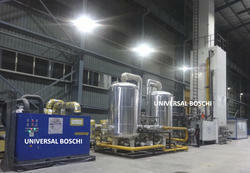 We are engaged in offering a diverse range of Liquid Nitrogen Plant that meets on client’s demand. 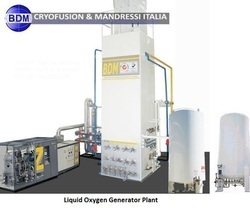 We are engaged in offering Liquid Oxygen Nitrogen Plants.